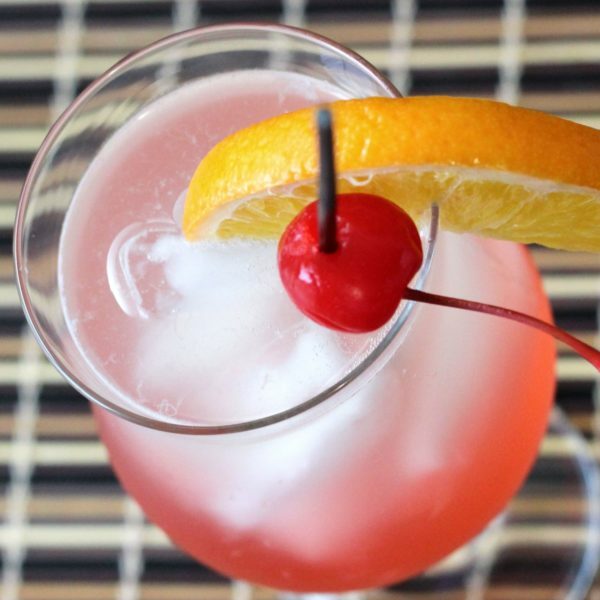 The Cherry Vodka Sour gets its cherry flavor from grenadine and the sour effect from – you guessed it – sour mix. It’s a simple, tasty drink that makes a nice alternative to the Whiskey Sour. This is a great drink for an evening out – it’s on the weak side, with just an ounce of vodka, so it doesn’t sneak up on you. The flavor is easy to take, and goes well with a lot of meals or happy hour snacks. This is a wonderfully simple drink, with just three ingredients. It’s easy to mix. You can even make a pitcher for parties. Most anyone who likes fruity cocktails will enjoy this drink. Pour in your vodka followed by the sour mix. Finish with the splash of grenadine.